Get stoked because Mellow is in stock! Finally! It has been a long road towards this major milestone of having a large stock of drives ready to order and to be shipped immediately. From this day Mellow has officially transitioned from an inventing tech startup for connoisseurs and geeks to a company where everyone can order a high tech product and unbox it within just a few days. 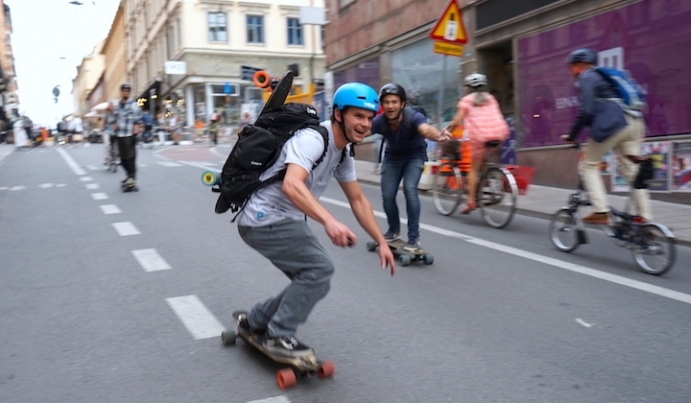 Anyone who orders from Europe or from the US will get his or her Mellow shipped within 3 days. To reach this point we had a long way to go. It all started with our promises in our Kickstarter campaign in 2015, followed by last minute product interations in 2016 and our long production ramp-up last year. 2017 we managed to fulfill all our pre-orders from Kickstarter and the time beyond. Last winter we took the time for further important product improvements and in spring we shipped all pre-orders that accumulated in the meantime. All product revisions and firmware updates are implemented in production and now just in time for the summer Mellow is ready to be shipped to you in no time. Our product has not only been sent out to owners all over the world and tested and approved in real life, but also recognized with two reknown design awards (Red Dot Award & German Design Award). We are proud to say we have designed a product setting new standards for electric skateboards and we can take your order today and deliver it to you within just a few days!